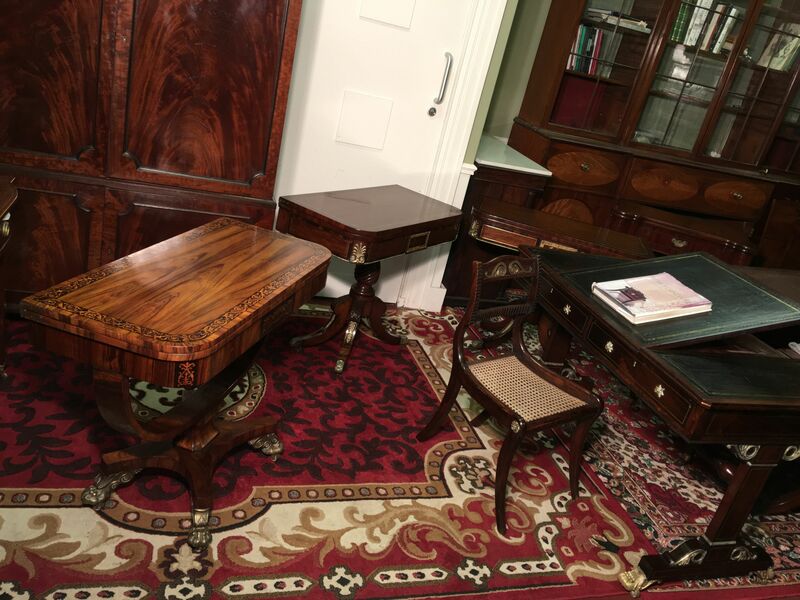 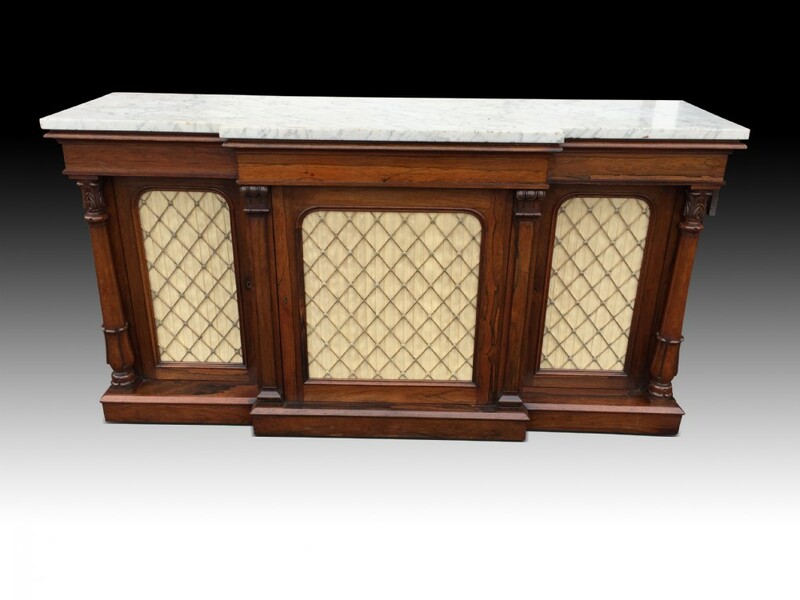 Some examples of fine antique furniture currently for sale. 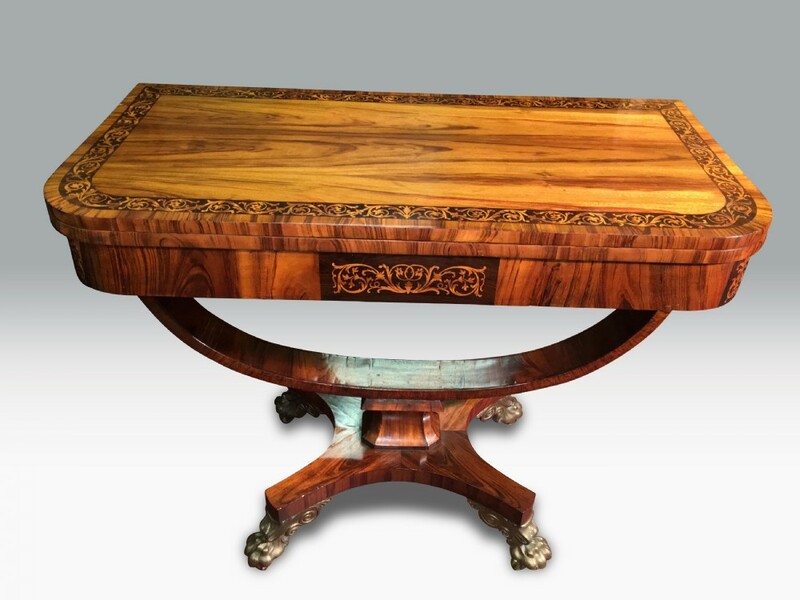 SUPERB & IMPORTANT REGENCY ROSEWOOD & BRASS INLAID LIBRARY/ READING TABLE WITH ORMOLU MOUNTS ATTRIBUTED TO GILLOWS. 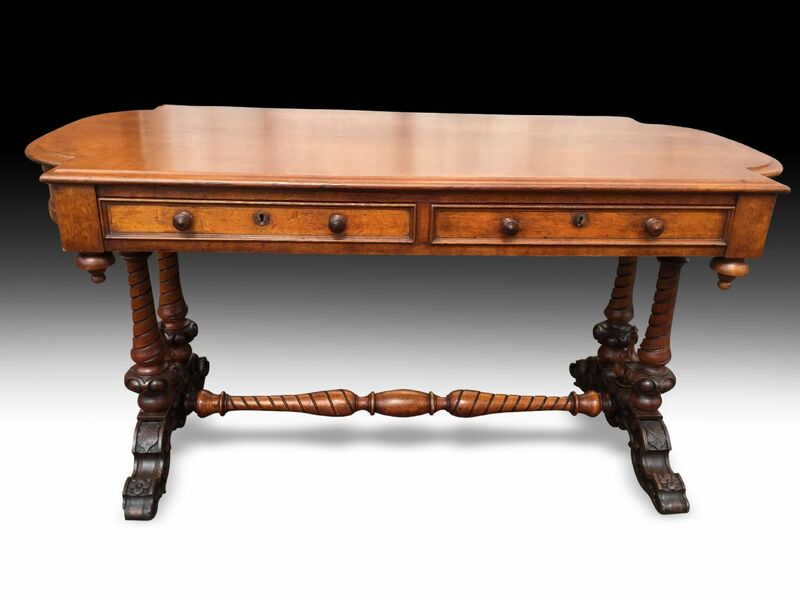 A SUPERB & IMPORTANT IRISH MID 18Th C MAHOGANY CARD OR GAMES TABLE. 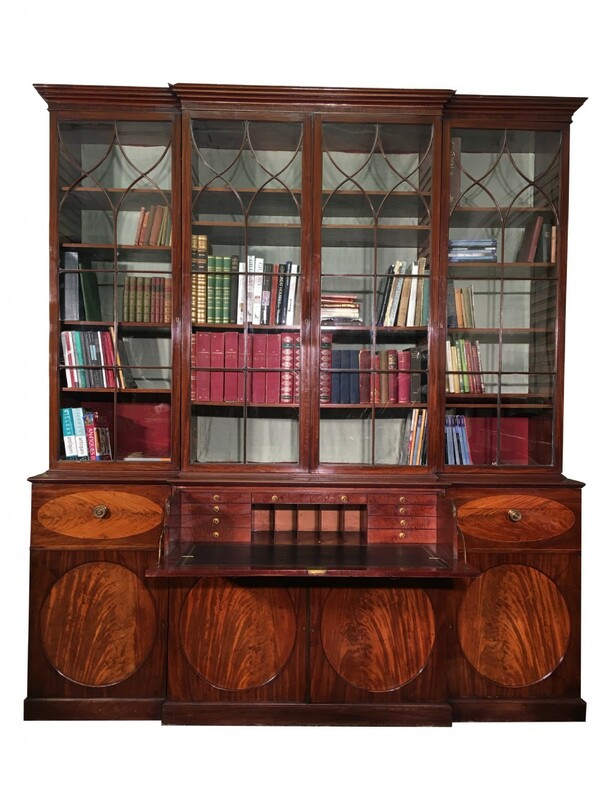 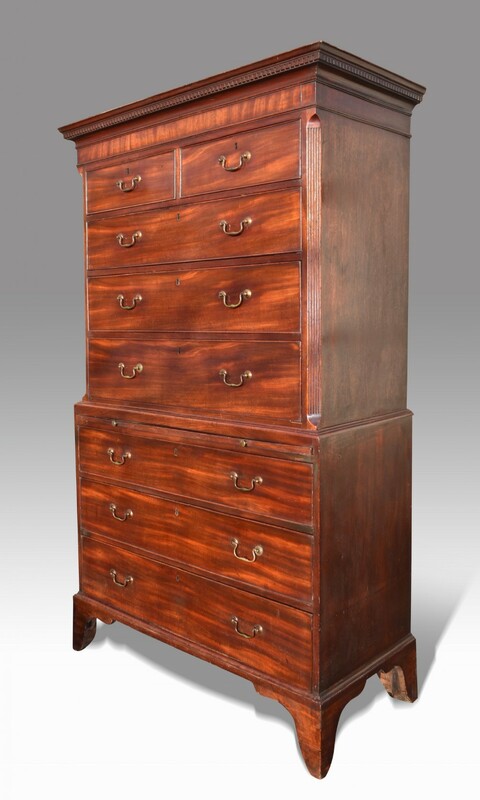 A SUPERB & IMPORTANT GEORGE III MAHOGANY BREAKFRONT SECRETAIRE BOOKCASE OF MAGNIFICENT PROPORTIONS. 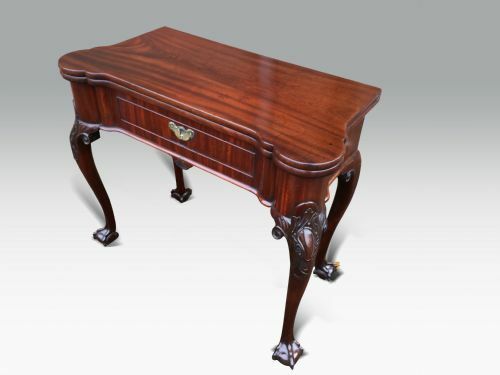 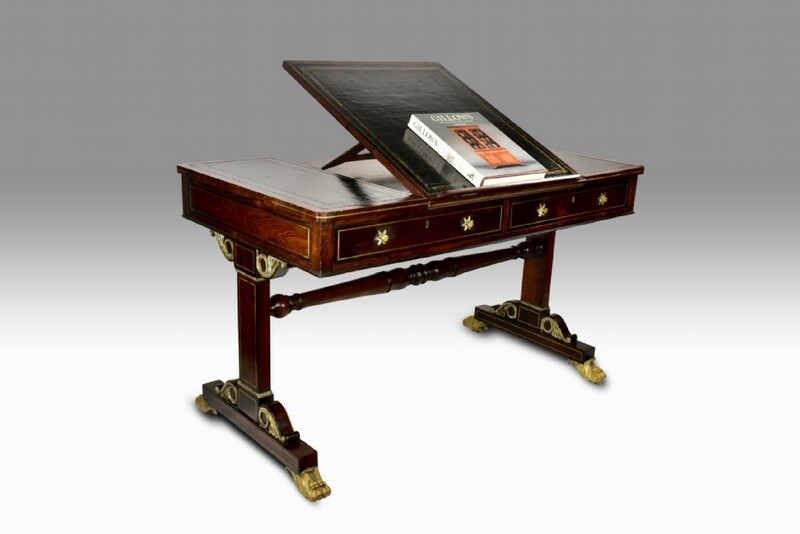 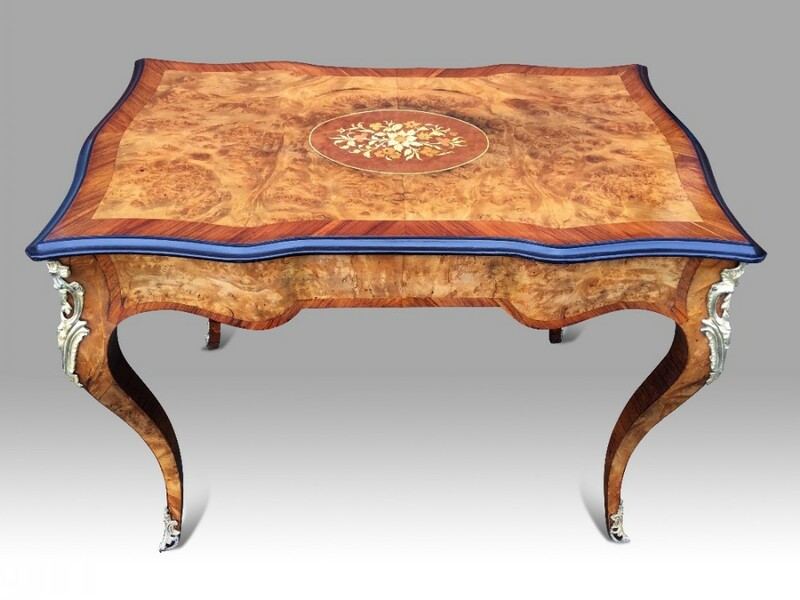 A SUPERB REGENCY GONCALO ALVES & HOLLY INLAID CARD TABLE IN THE MANNER OF GEORGE OAKLEY. 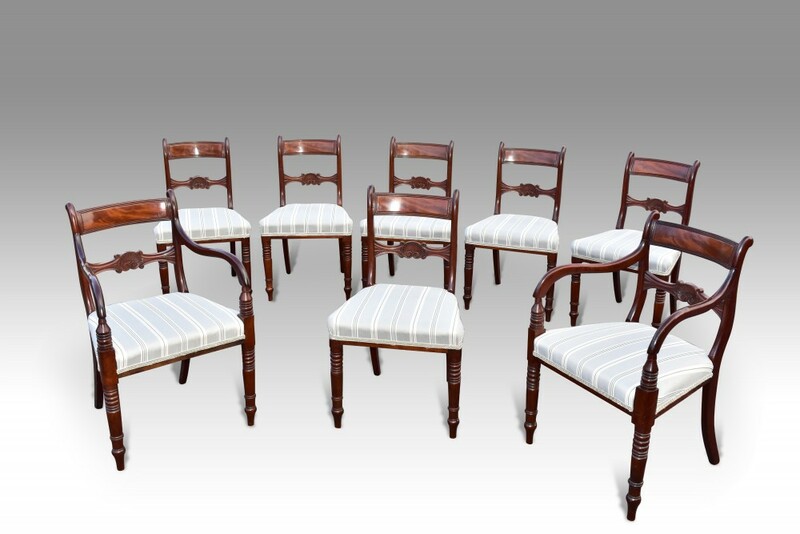 A FINE SET OF 8 REGENCY PERIOD DINING CHAIRS. 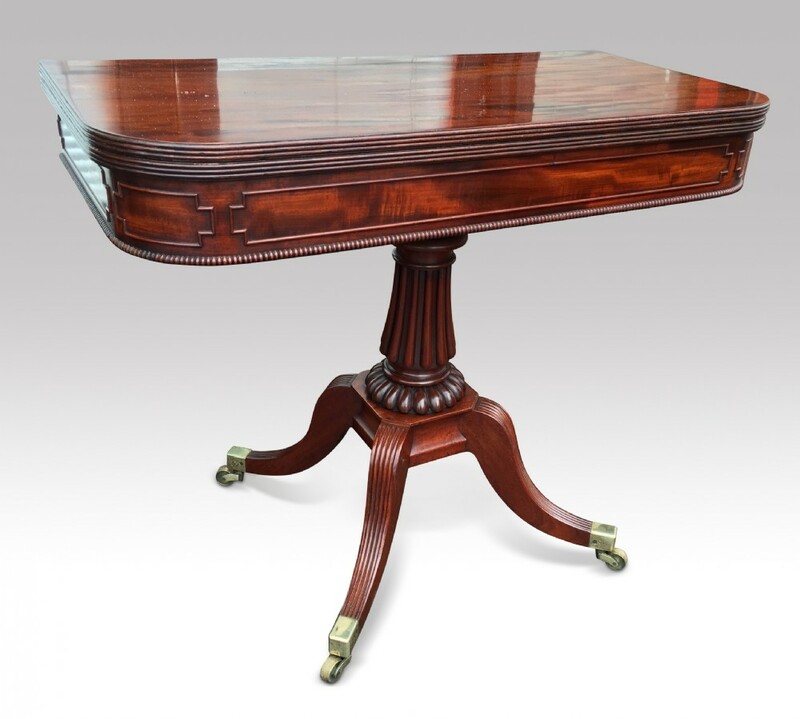 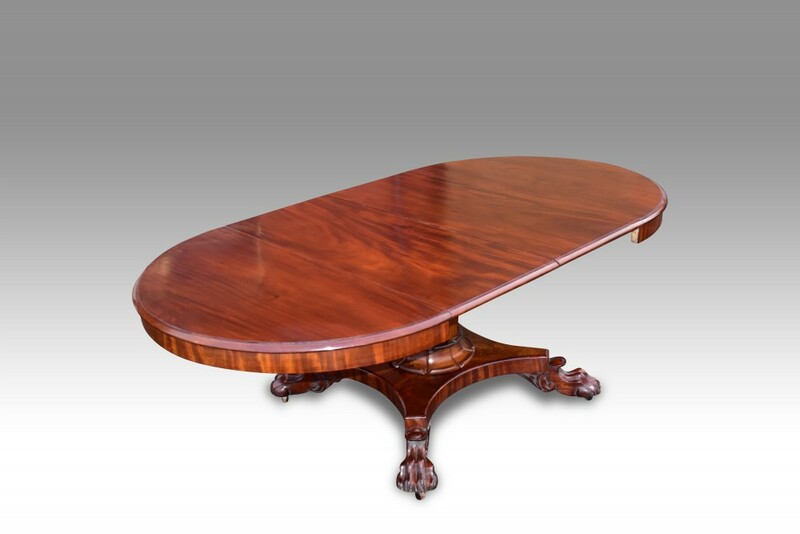 A FINE REGENCY MAHOGANY CIRCULAR EXTENDING DINING TABLE. 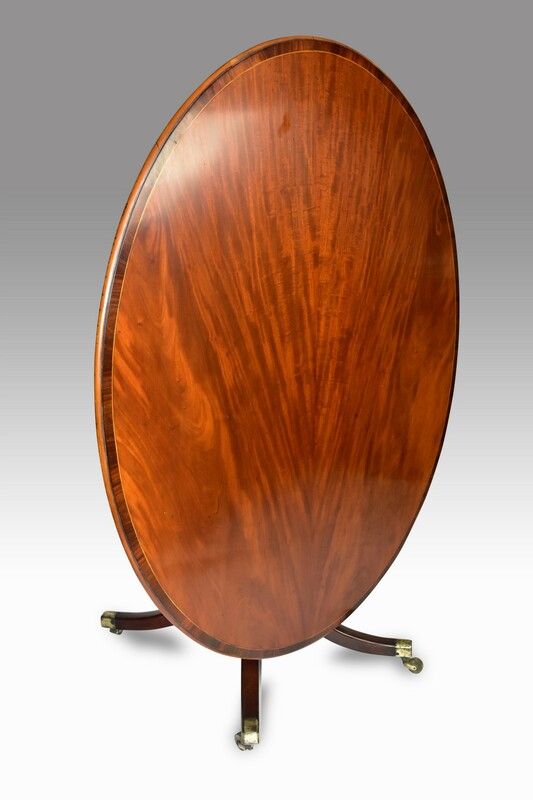 A FINE GEORGE III MAHOGANY OVAL TILT TOP BREAKFAST TABLE. 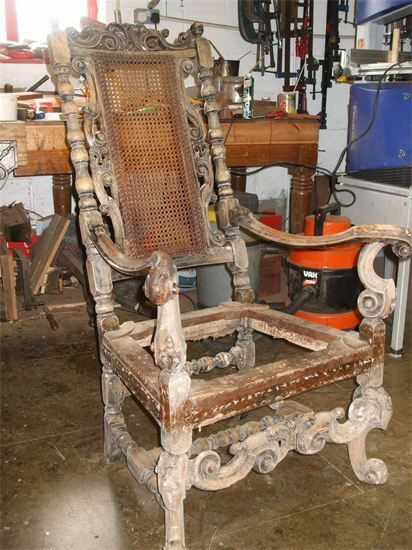 A rare Charles II walnut armchair undergoing restoration. 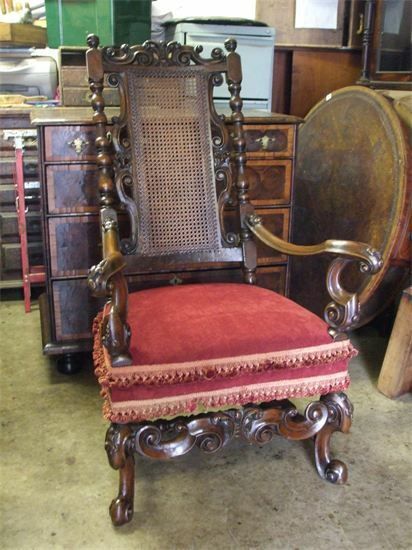 A superb Charles II walnut armchair after restoration completed.